Located about 21km from Sarawak Capital city Kuching, the small town of Siniawan is famous for it’s unique wooden shops that have been time tested for over 100 years, since the Raja Brooke time. It is just about 25 minutes drive from Kuching city. About 8 years ago, some local youngsters from Siniawan had initiated a campaign trying to rejuvenate this small lonely village into a vibrant town again. 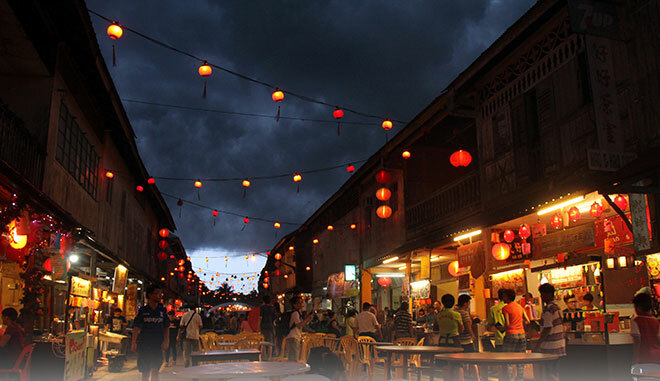 One of the project is the Siniawan Night Market. 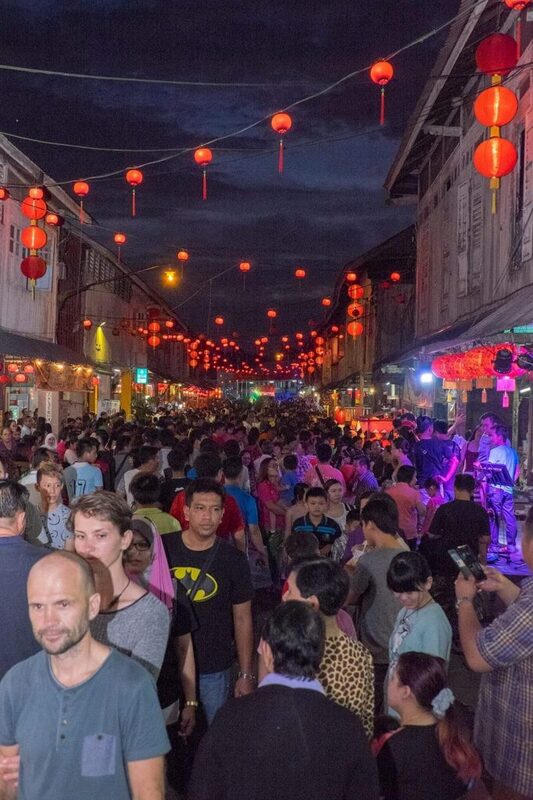 The effort proven to be a huge success and since then Siniawan Night Market had turned to be a weekly event that operates on every Friday to Sunday. 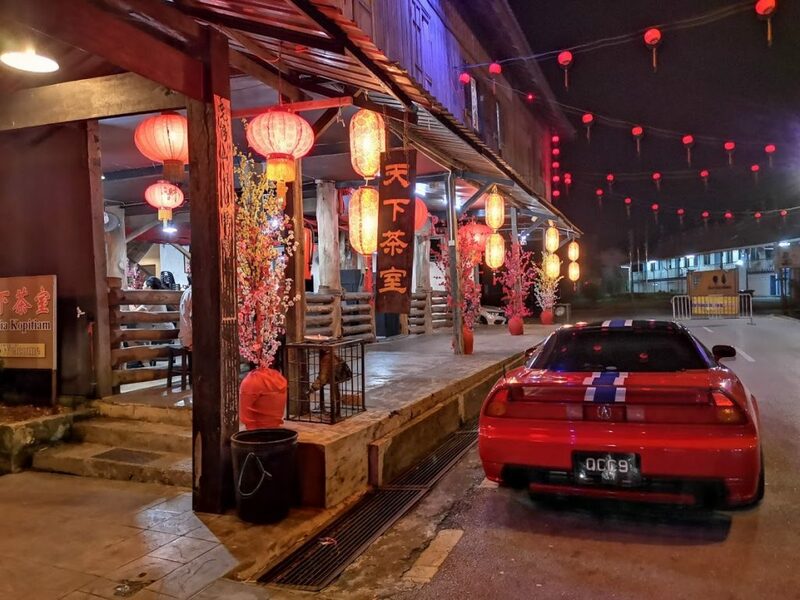 It is so famous that it not only attracts local residents as well as residents from Sarawak biggest city of Kuching, it is now well known and visited by foreign tourists as well. 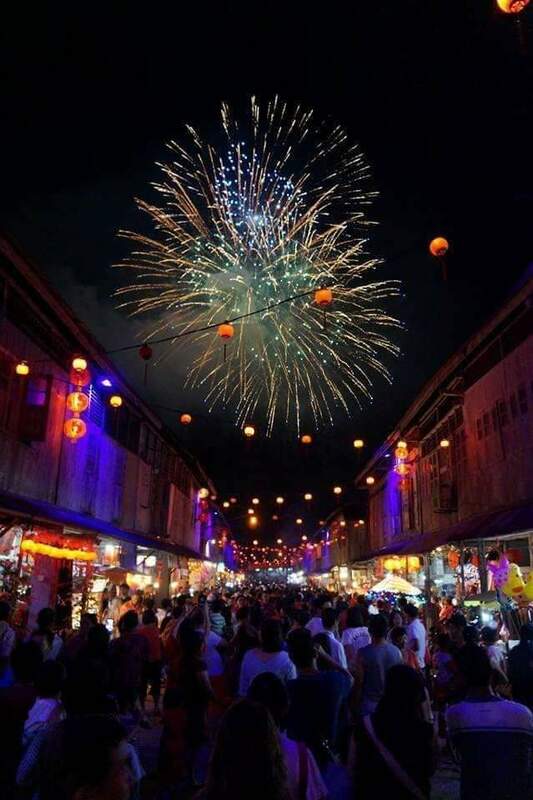 It is definitely a must visit night market for tourists to Kuching nowadays. The night market actually is on the only street that lay between 2 rows of unique and antique shophouses. These shops architecture believed to be dated back to some 60-80 years ago and is rich in culture and heritage values to Sarawak nowadays. The local committee of the night market has spent great effort to decorate the street and shop building here to make it a live market at night. The vintage architectures are further accentuated by hndreds of red Chinese lanterns hung in zig-zag pattern across the street. It produces a spectacular night view when it is lighted up at night. 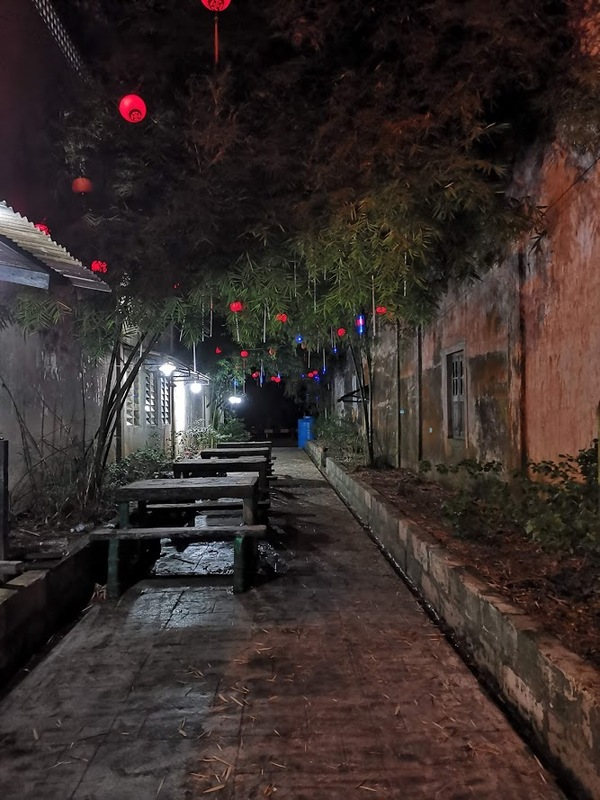 Such antique architectures couple with the lattern decoration make it a stunning nice night scene for viewing and photographing. You should not miss Siniawan night market if you are a photography enthusiasts. Make sure you leave enough stomach space before you come to Siniawan Night Market. There are many food carts selling varieties of local delicacies and beverages, from fingers bites to full set meals and dessert, from soda drinks to beer and wines. You can find locally popular foods like Bamboo Chicken, Kueh, Satay, Kolo Mee, Laksa, Grilled Fish, Fried or BBQ Chicken Wing, Big Chicken Chop, Lamb meat etc..plus some Taiwanese and Korean gourmets as well. One that is not to be missed local street food here is the Lemang Periuk Kera. 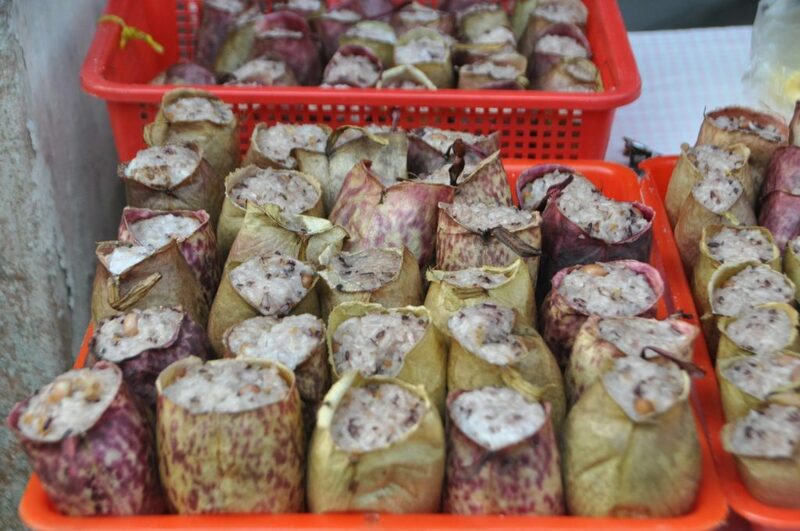 This is actually a Bidayuh’s delicacy made of glutinous rice which is cooked in a pitcher plant. A Must Try for visitors. Beside enjoying all these delicious street food, there is even a Karaoke and a small stage for visitors who likes singing to go on stage to sing a song or two. The view at Siniawan market is superbly beautiful when the night falls and when all the lanterns are lit up. The old wooden shops give a stunning view when the lanterns light shine on them and provides a perfect rustic ambiances for diners. 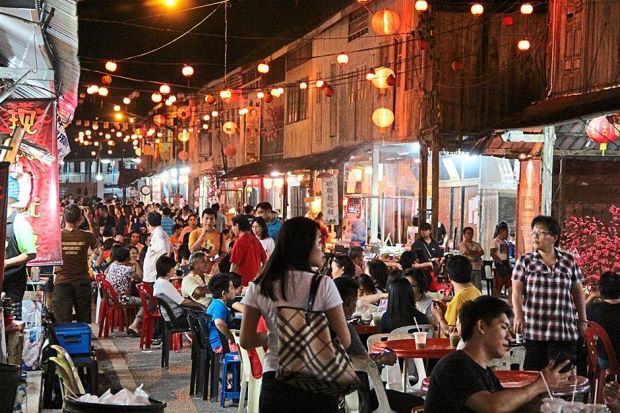 You can now sitting on those chairs and tables laid out right in the middle of the street and savouring your sumptuous food while appreciating the beauty of this old night market. There is a very traditional decorated homestay or hotels at the end of the street here. 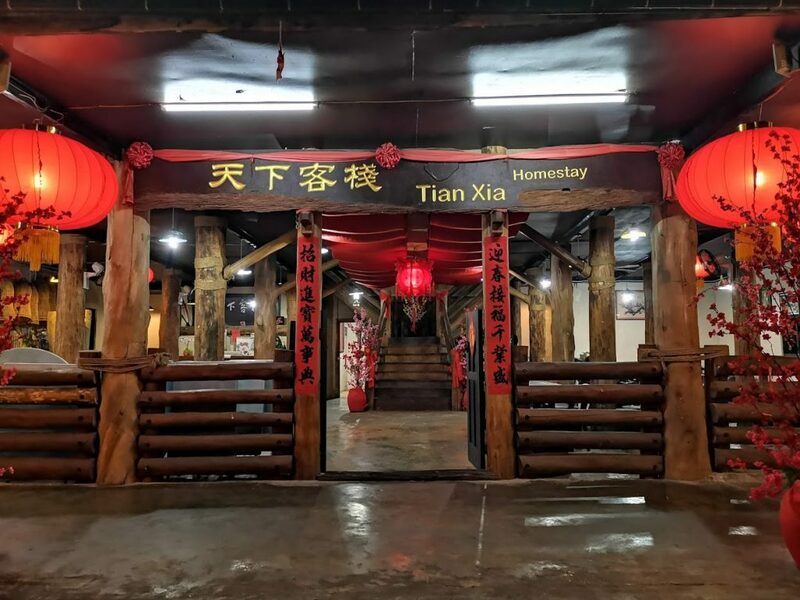 If you would like to spend more time to enjoy the night market here or would like to explore the tourists attraction town of Bau, which is about 10km from Siniawan, you may stay at this hotel for a very bargain price. Bau town is famously for it gold mining history as well as the Fairy Cave and the Wind Cave which attracted many visitors every year.